I didn't like dyeing with this yarn. It felted way too easily. It may just be the non-superwash-ness of it. It dip-dyed wonderfully, but anyother method, it didnt like the dyeing process. Had to wind it into a cake, then back into and I just dont think I will be dyeing with it anymore. 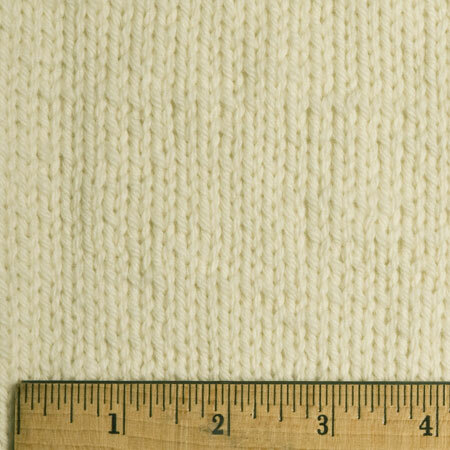 This bare merino DK is super soft, beautiful quality, rounded with great stitch definition; loved working with it. I dyed it, and it is still super soft. Lovely. Just completed a sizeable leaf and ripple lace triangular shawl in this yarn (375 g)...and it is spectacular. I wasn't sure how this yarn would go from more densely worked stockinette portions of my design to the more openwork ones...but it blocked up to make it simply charming. Delightful to work with--feels so nice in the hand and well plyed. Like most of us I guess, I always have many projects in progress--for various working light situations, various working space situations, and, for me, the critical issue of what season it is and how torn up my hands are with field and forest work. I was thrilled to be able to pursue my lace-knitting passion with KP Bare DK, thanks to the cushy ply and nice finish of this yarn--even after cutting, splitting, and stacking four cords of firewood! Thanks, KP, for this wonderful yarn. I love this yarn! I hope it never goes away!! I've knit two fisherman's sweaters from Alice Starmore's Aran Knitting. The hand is soft yet substantial, it is a perfect weight and warmth, and the cables stand out beautifully. 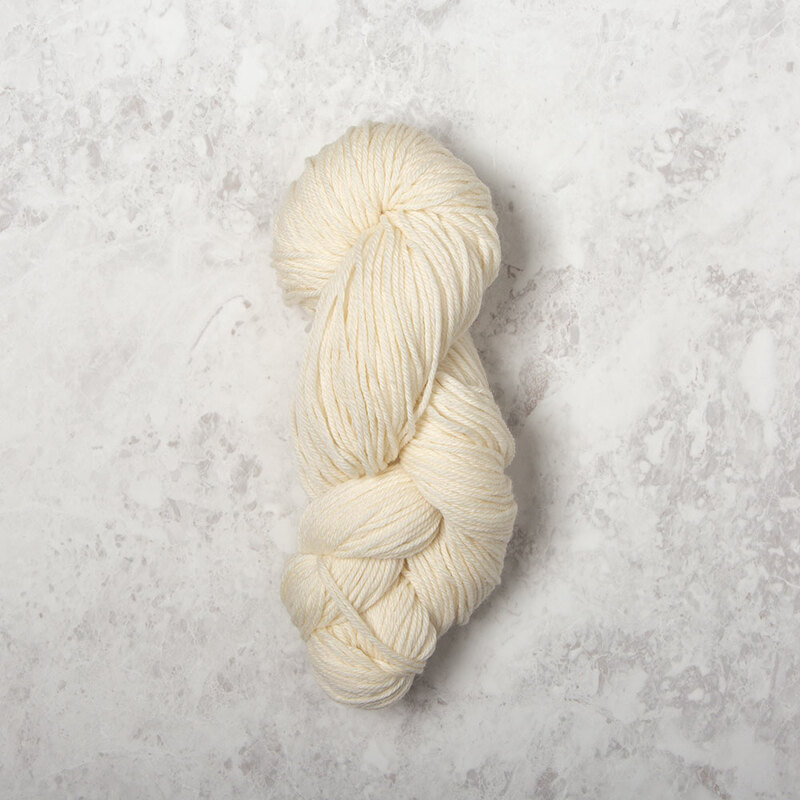 I happened across this yarn while it was on sale and while I was apprehensive considering it's not a superwash, I'm glad I purchased it. So far have made two cowls and a big shawl out of it and they have all held up very nicely. 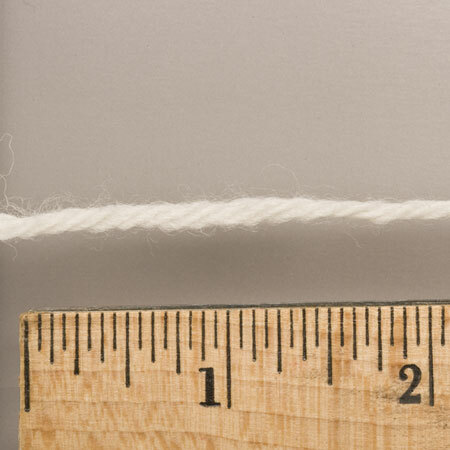 Nice hand, nice ply, good stitch definition, takes to kool-aid dying beautifully, and it's an excellent value. I look forward to many more knits using this yarn!